Over 200 members of staff from Yorkshire-bsed ventilation manufacturer EnviroVent took part in a community day recently to ‘put something back’ through volunteering on projects in Harrogate, Knaresborough and Nidderdale. The whole company, including managers, installers, surveyors, production and office staff, worked together in teams of 10-15 people to carry out various projects across the local area. This included clearing the gardens at Horticap, community singing for the elderly people with Dementia Forward, a charity car wash for Saint Michael’s Hospice, preparing a sunflower garden for the hospice as well as promoting the charity’s upcoming You’re Inspired corporate challenge, raising money for the homeless, with a nearly new sale, litter picking and clearing the gardens at Fountains Abbey and creating arts and crafts to sell at Henshaws’ Arts & Crafts centre in Knaresborough. The activities were arranged by EnviroVent as part of the Investors in the Community initiative that brings together individuals, businesses and good causes in order to provide a positive impact on society. 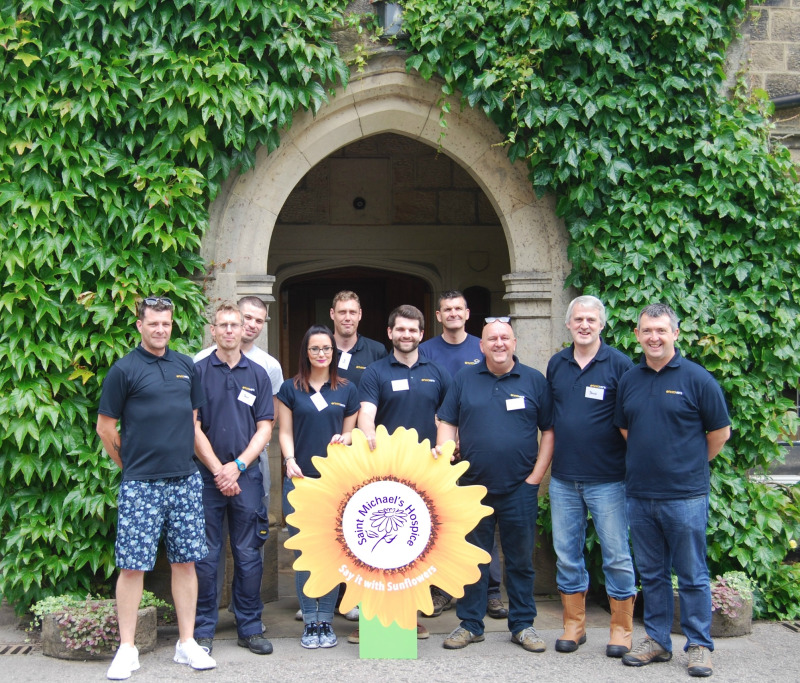 One of the projects involved planting sunflowers at Saint Michael’s Hospice as part of the Sunflower Memory garden. ‘Say it with Sunflowers’ invites the community to dedicate a sunflower plaque in memory of a loved one and make a donation to Saint Michael’s Hospice to help the charity care for more people. The involvement of EnviroVent staff enabled the hospice to create a sea of sunflowers ready to welcome the community to an open garden event. Chief Executive of Saint Michael’s, Tony Collins, said: “We’d like to say a big thank you to the EnviroVent team, who brought their skills, energy and enthusiasm to support Saint Michael’s. EnviroVent was named Best Charitable Company at the Stray FM Local Hero Awards in 2013 and has helped to raise £35,000 for Saint Michael’s Hospice in Harrogate over the past few years.